Thank the RNG Gods, for Odd Paladin is gone, as this spell would be so ridiculous in that deck. Our condolences, Wild players. But we might have to face a different nightmare, in the form of Secret Paladin. 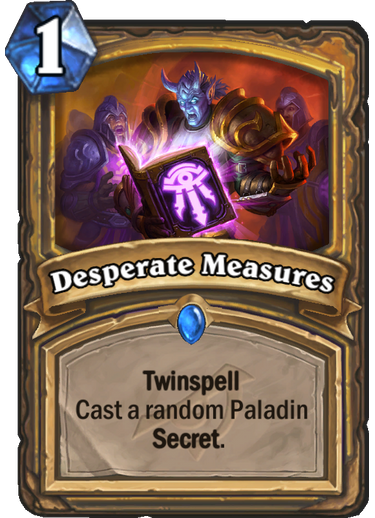 This secret can be quite crippling to an opponent’s ability to deal with the Paladin’s onslaught, though it is admittedly weak when falling behind. 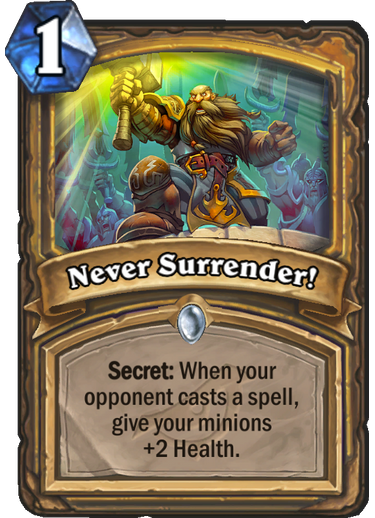 In Secret Paladin, we believe this is a staple 2-of. It’s just so powerful against removal and AOE. With the current card pool, this card looks weak and we highly doubt it will see play. We’re not enamored with the idea of Immortal Prelate and it’s difficult to find other synergies that stand out (Batterhead is probably the coolest one). However, lifesteal tends to be underestimated early and then becomes more powerful with further support. 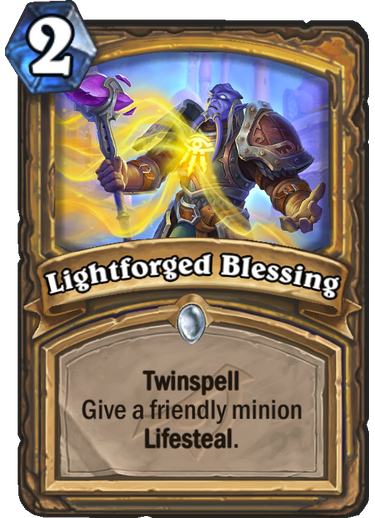 It just needs a minion worthy of the blessing, so perhaps, it will find it in the future. This card is a neat package of value but a sad package of tempo. It has obvious synergies with dragons for two reasons. The first is that we generally want to hold dragons in hand in order to activate the primary mechanic of the tribe. 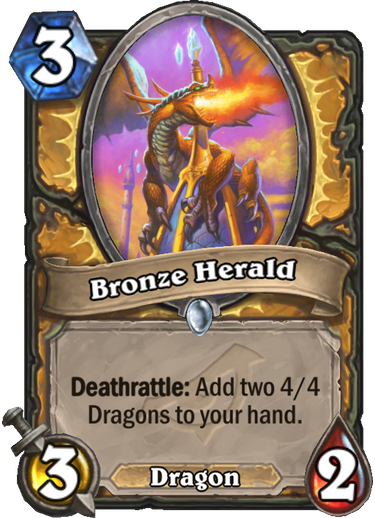 The second is that the 4 mana 4/4’s are great targets for Dragonpeaker, since unlike most dragon decks, we shouldn’t settle for the minimum number of dragons required for the tribal mechanic’s consistency. 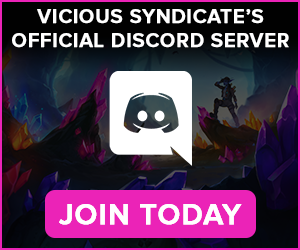 The problem: Where are the other dragons? This card may seem weak initially, but there’s quite a lot of power behind it. It’s important to remember that when secrets are completely random, they are harder to play around and can become very annoying. 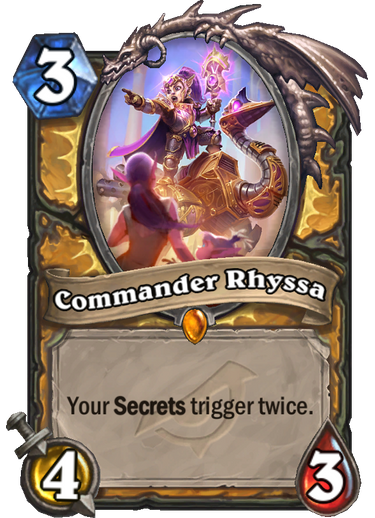 This card is also a 2-in-1 that fuels Secret Paladin’s early game extremely well without us needing to draw or keep secrets in our opening hand. Let your actual secrets get pulled with Bellringer Sentry. That makes for perfect synergy. Unnerfed Fiery War Axe in Secret Paladin. Okay then. 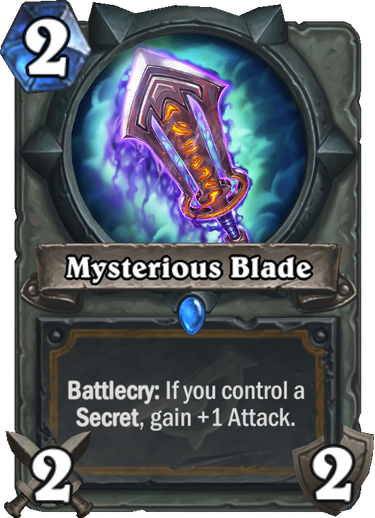 Guess Secret Paladin is going to be good because it can play the best weapon that has ever existed in Hearthstone. Is there any need to explain why this card is strong? This card is very underwhelming and really made us scratch our heads. For 3 mana, you’d usually be able to play a 2/2 on the board while drawing a card. Witchwood Piper, for example, is a much stronger card with a similar effect despite being a neutral. 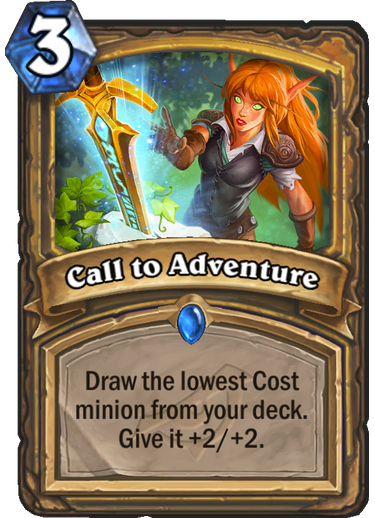 Call to Adventure was clearly designed and balanced around Immortal Prelate, and we’re not too enthusiastic about that interaction. 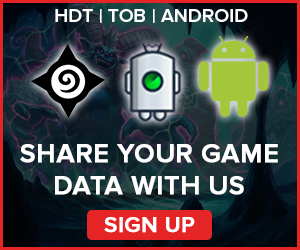 Handbuff hasn’t been a successful experiment in Hearthstone. The mechanic was always too slow and weak to make a real impact on the meta, which is why we keep getting stronger and stronger Handbuff cards over time. 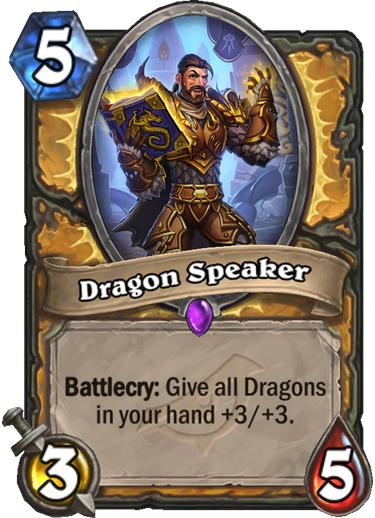 Dragonspeaker is the first handbuff card which raises the bar with a +3/+3 buff, albeit it’s restricted to dragons, and there just aren’t enough good dragons to justify this seeing play. 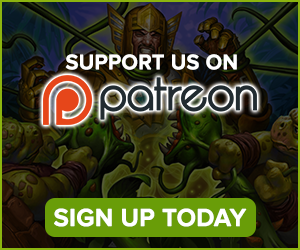 A symmetric Gather Your Party that costs one less mana doesn’t strike us as game changing. The main problem for a potential “Big” Paladin is whether there’s enough “Big” stuff that’s worth cheating out, and whether Paladin can stop itself from dying despite running a high curve of minions. The Equality nerf hurts this potential archetype a lot. Duel also has anti-combo implications, but for that purpose we struggle to find a good reason to play this over Hecklebot. If Secret Paladin is a real threat next expansion, this card will see play. This is one of the more one-dimensional legendary cards that belongs in one deck but is very strong in that specific deck. It has great synergy with Desperate Measures, and curves into Bellringer Sentry. Seems like a perfectly good fit. A 4/12 dragon that casts Tree of Life, a spell that was budgeted at 9 mana but almost never saw play outside of a meme Mill Druid deck. This card is obviously much more powerful. At 10 mana, we’re looking for a game changing effect from a minion, and this can hit the spot. Three things to keep in mind: Prismatic Lens can potentially cheat this out earlier. Paladin has Time Out, which has great synergy with the card. Paladin also has Thekal, which can cripple late game decks with limited burn. Don’t underestimate a full heal effect. 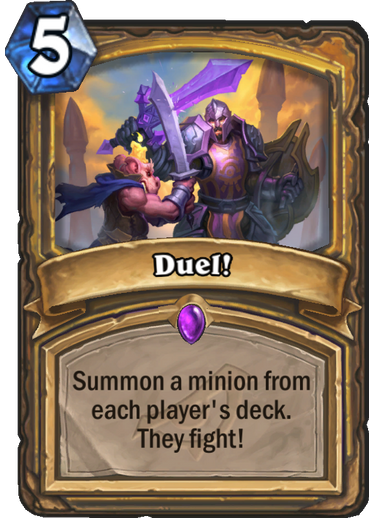 A Paladin deck that plays this would not care about healing the opponent, and considering the little deck building cost, this effect is desirable enough to be experimented with. It’s hard to imagine this card not seeing play over the next two years. Secret Paladin has received absurdly good support from this expansion, but other Paladin archetypes have been left in the dust. 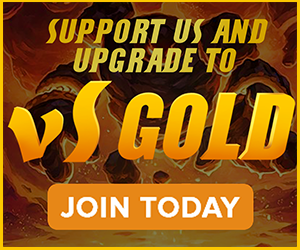 Thankfully, Paladin’s Year of the Raven sets are good building blocks for success in the new year, so the class has a good chance of remaining relevant through multiple archetypes. 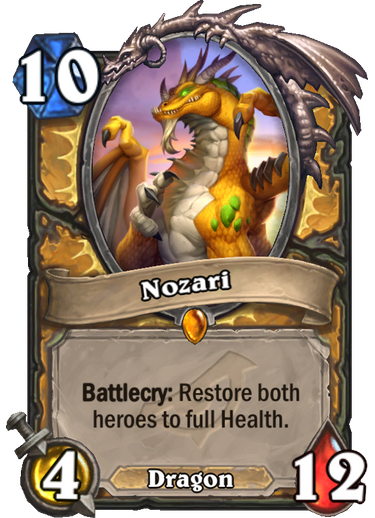 The worst case scenario for Paladin is that it only has one dominant deck, but there are reasons to have some faith in Holy Wrath and Kangor’s Endless Army.